We welcome partnerships with travel agents, booking agencies and DMCs, and look forward to working with you to give our mutual clients an unforgettable Alaska dream vacation. Stillpoint Lodge provides guests with a unique combination of adventure, leisure and wellness activities... on the edge of the wilderness. 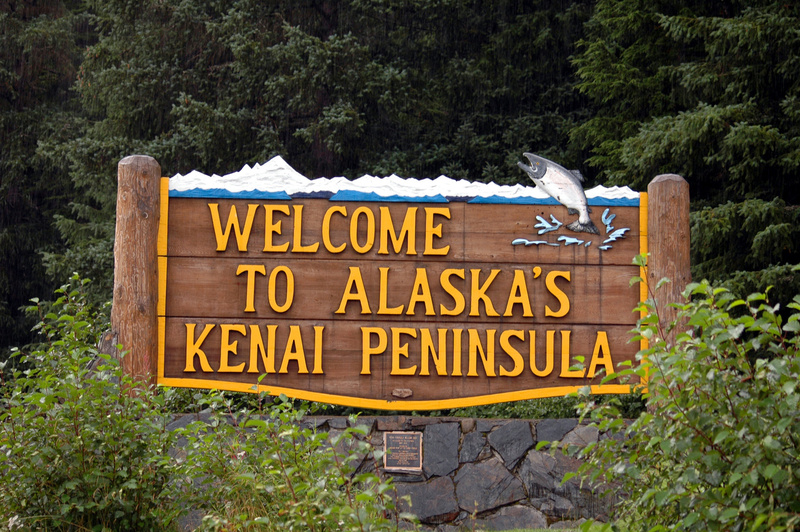 Halibut Cove, in Southcentral Alaska on the Kenai Peninsula, is Alaska's premier destination for group events and multi-generational families and the discerning globetrotter on an active holiday. We're just 7 miles by boat or seaplane from Homer, Alaska, another favorite vacation spot, especially for Alaskans. Guests love our down to earth wilderness experiences that bring them remarkably close to nature and wildlife, then return each evening to the comforts of a luxurious wilderness retreat. Expansive organic gardens, outstanding cuisine, warm and welcoming, service oriented (and musical!) staff, as well as a range of lodge activities focused on wellness round out an unforgettable Alaskan vacation with us at family owned and operated Stillpoint Lodge. Cozy, secluded log cabins are just a short walk from the elegant main lodge. Inside, find the perfect balance of grand architecture, Alaskan artistry, Scandinavian styling, simple, nature-inspired design, and a hint of Zen... featuring organic gardens, eco-friendly provisions and sustainably minded amenities for the conscious traveler. The warm, professional staff loves sharing their passion for recreation and conservation in this wild land. Step outside into the pristine wilderness of Alaska to enjoy a wide array of expertly guided adventures and activities; something for everyone in the family. A visit to Alaska is an experience of a lifetime; Stillpoint Lodge provides an extraordinarily authentic, bespoke experience with comfort, style and unforgettable hospitality. Travel advisors have a vital role in changing people’s lives through tourism, and we hope that by entrusting us with your clients and learning about their amazing tranformational experience, you can rediscover some purpose and motivation for selling travel. To help galvanize our relationship, we invite you to visit us when you're nearby... let us show you what we're all about, and give us a chance to meet you in person. It is very important to us that you send us clients who are a "good fit", and that you spend time considering and communicating the unique features of our grounds, facilities and programs to your clients. Stillpoint Lodge provides commission on our retail base lodging rates only. A 10% commission is paid per guest; not including tax or ancillary services and sales. Stillpoint Lodge does not pay commissions on additional services, excursions or activities purchased during a stay at Stillpoint Lodge and Stillpoint Lodge does not pay commissions on any outside vendor activities or services. This includes air flights, bear viewing trips, fishing charters, or any other excursion arranged or purchased on behalf of a Stillpoint Lodge guest. Commission is only paid based on the completion of the booking and is lost if the reservation is canceled. When the reservation is made, Stillpoint Lodge invoices the agent directly with a 10% commission subtracted from the base nightly rate, not inclusive of taxes, fees and rates for additional excursions, activities, special requests, nor gift shop merchandise. The commission is a line item on the invoice and may be applied to the booking however the agent sees fit. If the reservation is canceled for any reason, Stillpoint Lodge will complete the refund in accordance with our cancellation policy and will be repaid to the agency. Return of deposits or other payments will be based upon the cancelation policy provided on the initial reservation confirmation minus any credit card processing fees, terms and conditions. Cancellation may be made by the client, not by the agent, and must be made in writing. Cancellation may also be made by Stillpoint Lodge for non-payment, based on the terms outlined for each reservation. In the case of cancellation for any reason, Stillpoint Lodge will bear no responsibility for any and all travel related expenses, including, but not limited to, airfare, hotel, transportation, cancellation fees, or any other services related to canceled reservation. Stillpoint Lodge is under no obligation to provide the travel agent with any financial compensation based on a cancellation. Because of our short season, and the unlikelihood of filling an empty cabin at the last minute, we cannot offer refunds on deposits or full payment for any reason. We strongly recommend trip insurance.